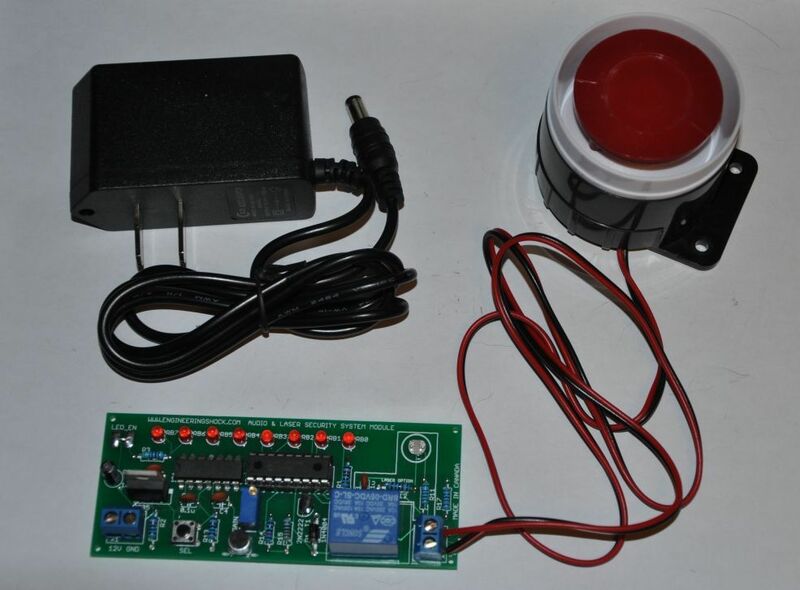 This listing is for a really fun little security system module that detects noise and laser breach. 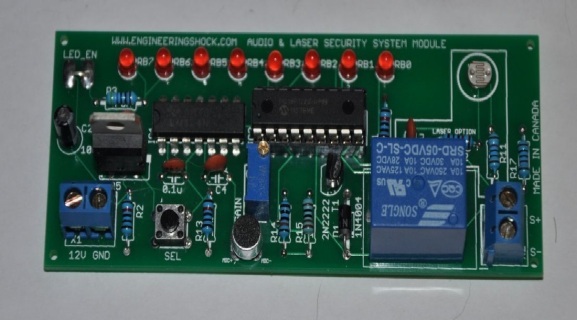 It comes with a fully assembled board, a siren, and a 9v wall transformer. If you watch the above video, you will get several demonstrations on how this device works. It is extremely easy to use. THE SIREN IS EXTREMELY LOUD! We also sell these in DIY kit form. Check out our store! Watch the video above, and read all of the information below. IT COMES FULLY ASSEMBLED AND TESTED! 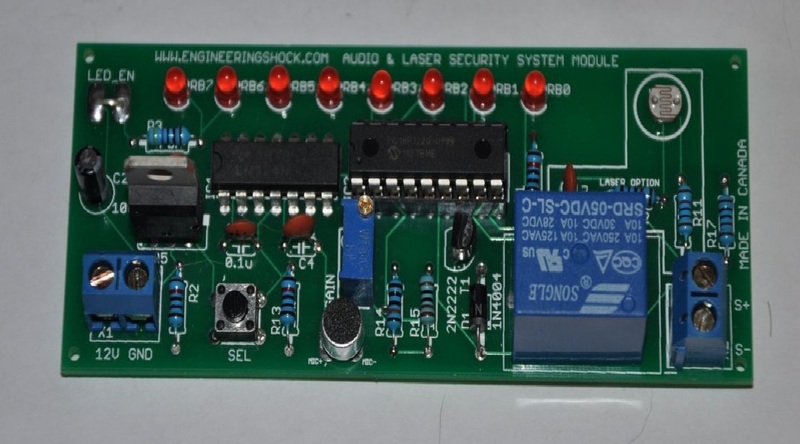 As soon as you connect power to this device (9v), it will enter into a calibration state. If you make noise, you will see the on board LEDs light up from right to left, depending on how much noise you are making. Loud noises will activate all LEDs, all the way up to the left most LED. The slightest of noises will light up the right most LEDs. When you press the SEL button, all LEDs will flash three times. You will now have to choose the sensitivity of the audio detection. Remember, when you have selected this,the circuit will arm. The longer you hold the SEL button, the more LEDs will light up. As soon as you let the SEL button go, the last LED that lit up will be your sensitivity. If you let go of the button with the left most LED lit up, then sensitivity will be extremely low, and you will need to create a ton of noise to activate the alarm. If you let go of the SEL button with the middle LEDs on, you will have moderate sensitivity. If you let the SEL button go with the first LED on, that means that you are going to have to creep out of the room, as even the slightest noise will activate the alarm. Good for scaring the crap out of people.